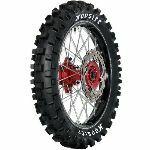 The 80/100-21 is optimal as a front tire on a 125cc, 250cc and 450cc Off Road bikes in Supercross, Motocross, and GNCC. 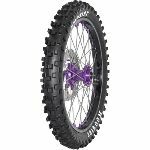 The 80/100-21 has an intermediate tread pattern and 2 compounds for sandy/loam to hardpack conditions. 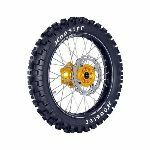 This tire will increase cornering speed and braking; the MX25 compound is for loamy track conditions while the MX30 compound is better suited for hard packed conditions. 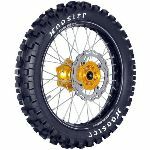 Optimal air pressure range is 13-14 psi.